If you test the new packages on the shelves online before launching them in real shops, you save money which could have been wasted on the advertisement. 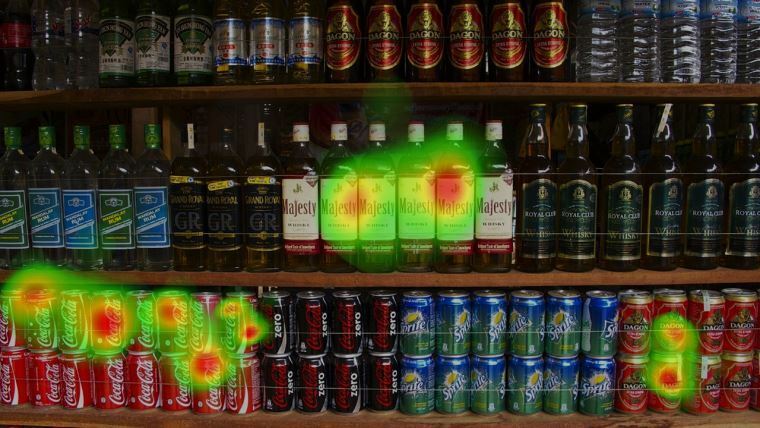 Shelf testing will show how much attention your product attracts when placed on the shelf among other brands. Aren’t satisfied with the obtained results? Well, that was the reason why you started this test. Now you certainly know that it’s necessary to change the package design to make the product more noticeable for buyers. - Change the package design. You rebranded the package to make it more attractive and smart. Shelf testing allows you to find out if it really works. The more variants you test the more confident you become about the best variant. - Change the logo placement. Sometimes, trying to refresh package design and make it more modern, we make too much. Buyers even are not able to recognize the product which they used a lot of years. Under any circumstances, your logo should be noticeable if you don't want to lose the loyal clients you already have. Change the logo placement if the heatmap says that nobody sees it. - Check if the package became more noticeable among other products. You can change the package details as many times as it’s necessary to get the desired result. Make your product attract more customers attention in the store with Shelf Testing by NeuroLab.